During the spring semester, I picked up a little girl and drove her to dance class along with my daughter every Monday. She only lives a few minutes away, making it easy for me, and it saved the mother the hassle of interrupting her baby's nap and driving there herself. On the last day of dance when I dropped off our little friend, the mom greeted me at the front door, child on her hip, with a small envelope. "Just a little something," she said. I opened the note in the car. Let me tell you, she had me at "Dear Robin." A one-hour massage for driving her daughter each week to dance class? What a wonderful -- what a downright glorious -- form of repayment for my time! Late last night after our collective seven children were tucked into bed, I drove to her house and let this former massage therapist unleash her magic as her deft fingers worked out kinks in my neck and back that I didn't even know I had. I may or may not have slurred into the face cradle, "I would drive your daughter anywhere." Turns out, we all have abilities that will bless others, whether it's as simple as offering a ride or as luxurious as offering a massage. With enough creativity, we can even barter our talents. I once did promotional writing for my friend's music business, and in turn, I received a photo shoot from his wife, a professional photographer. Win-win. 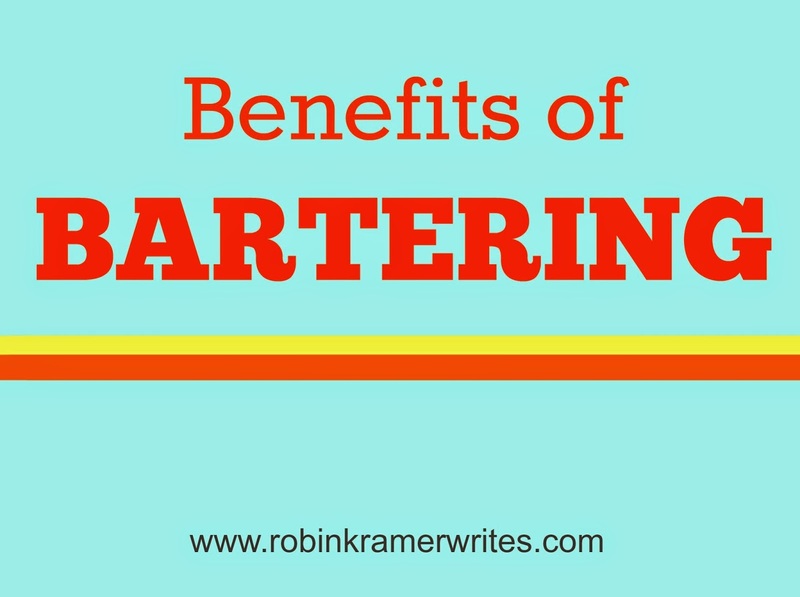 If you're a parent, perhaps one of the most obvious services to barter is something that we're already accustomed to providing on a constant basis: childcare. Offer to watch your friend's children while she runs errands or has a date night, and then swap. After scoring big with last night's massage, I've brainstormed other potential services to barter: house cleaning, home repairs, computer services, tutoring, cooking, grass mowing, yard work, hauling items if you have a truck, or hair styling. If you have a surplus of goods -- outgrown clothes or toys, vegetables from your garden, coupons for products that you don't use (but your friends do) -- see if you can swap those, as well. Be creative and inventory the services or products that you can offer, and then round up your friends to see if they're game. I assure you: there are benefits of bartering. Especially if you happen to be friends with a massage therapist. Humor, hope, and encouragement for moms: Then I Became a Mother. Available in both paperback and Kindle editions! So true, we have so many talents that we can share with others and in return we could save time, money, and energy that would otherwise be spent on something we're not as "gifted" in. Glad you had an hour of relaxing bliss. Wishing you a lovely wekeend Robin. "An hour of relaxing bliss" = the perfect description! The idea of you massage-drunk makes me laugh, but it would affect me the same way, I'm sure. That's a rather accurate description, Ami. It's a wonder that I wasn't pulled over while driving home. "Officer, it was just one massage. I'm under the legal limit, I promise. I'm totally fine to drive!" Oh this is SO TRUE!!! 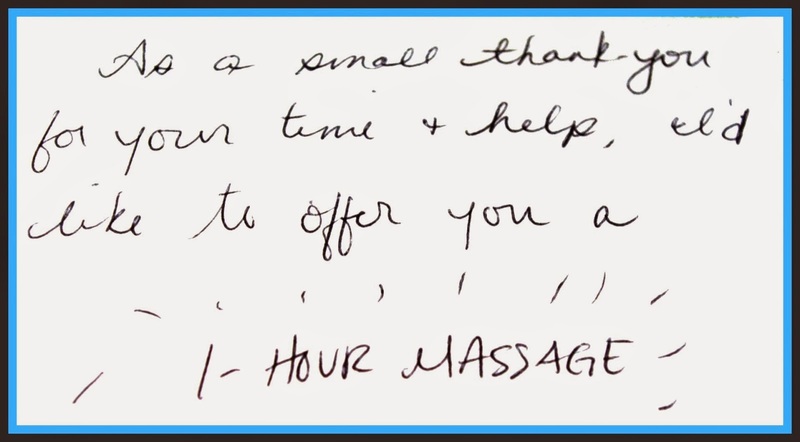 There is such a blessing in reciprocation and supporting one another through bartering- and sometimes it comes as a surprise- like your massage Robin!! That's the beauty of people helping people out. Serving one another always benefits BOTH parties in one way or another!